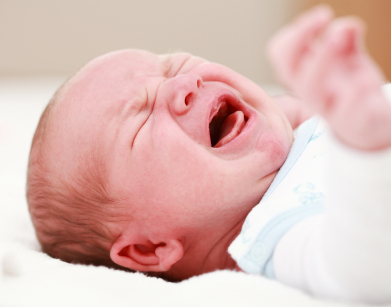 Fear, Anger or Pain: Why Do Babies Cry? "Crying is a baby's principal means of communicating its negative emotions and in the majority of cases the only way they have to express them," as explained by Mariano Chóliz, researcher at the University of Valencia. According to the results published recently in the Spanish Journal of Psychology,the main differences manifest in eye activity and the dynamics of the cry. "When babies cry because of anger or fear, they keep their eyes open but keep them closed when crying in pain," states the researcher. Nonetheless, "although the observers cannot recognise the cause properly, when babies cry because they are in pain, this causes a more intense affective reaction than when they cry because of angry or fear," outlines Chóliz.